This is our best spanking bench yet. It is fully adjustable. Made of 1 1/2" steel square tubing. This bench is 4 toys in one. You can adjust the height of the stockade to fit any body shape. In fact the stockade can adjust so high, that it actually becomes a full stand up stockade. 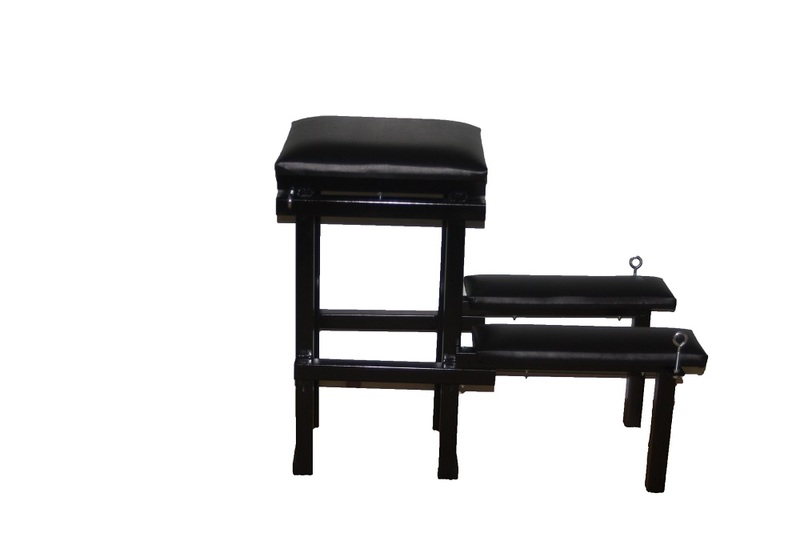 The stockade can also be easily removed so the bench can be used as a regular spanking bench. The chest rest is 16" high, and 17" long. It is covered with 2" thick foam, topped off with a durable black vinyl. 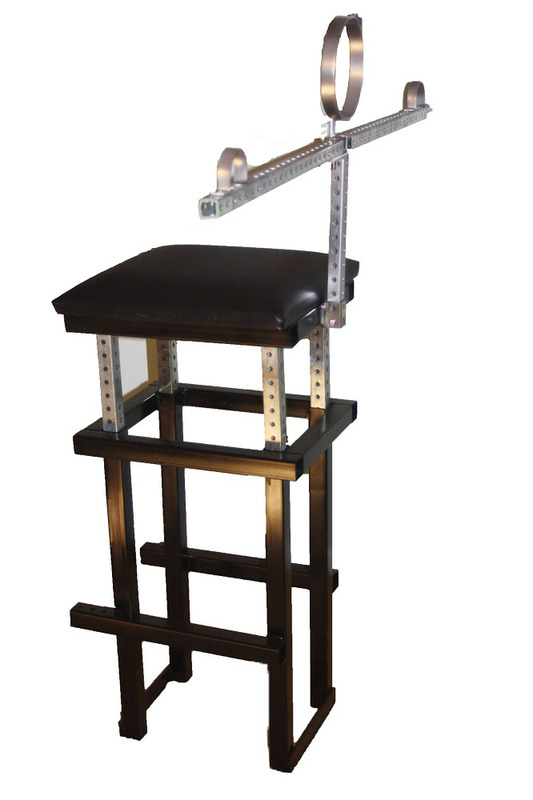 The height can be adjusted from 29" to 38" off the floor. The two knee rest are 19" long by 6" wide. They can be adjusted in or out 4" to fit nearly any leg length. The knee rest are also designed to mount parallel to each other, or swivel outward to various angles, creating plenty of space to stand behind your sub. It has a steel collar which can be locked around your sub neck. The collar is made of 1/8" thick by 1" wide zinc plated steel. Will fit up to 19" neck size. There are two wrist shackles to secure the wrist onto the two arm rest. The wrist shackles are made of 1/8" thick by 1" wide zinc plated steel. The wrist shackles can be located anywhere along the length of the two arm rest. The arm rest can be locked in place straight out like an air plane wing span, or they can be adjusted at angles towards the front, or back of the bench.